Please also forward to ward branch secretaries as appropriate, and consider also as an offer of engagement over 2018 local election manifesto policy if appropriate. What is the future for health and social care in Greater Manchester? 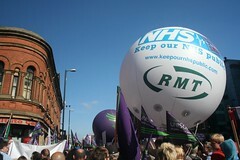 We are all aware of the looming threats to our NHS. Successive Tory governments, since 2010, have imposed swingeing cuts on all areas of healthcare (£22bn of underfunding of the annual NHS budget by 2020/21). 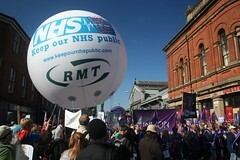 At the same time key health and social services been privatised. Virtually all social care – care at home or in care homes – has been privatised. Many people in need have to pay for their own social/personal care. Many key services- from path labs and diagnostic services to end- of- life- care, are provided by private firms. What is the situation in your area, within Greater Manchester? 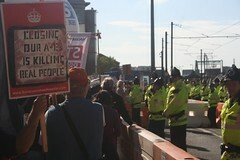 The recent Labour Party conference committed the next Labour government “to restore our fully funded, comprehensive, universal, publicly provided and owned NHS, without user charges, as per the NHS Bill (2016-17).… invest at least £10 billion in the capital needs of the NHS… adequate funding for all services, including mental health services…reversing privatisation, PFIs and the debts which they entail; reversing private involvement in NHS management and provision;….. ”. 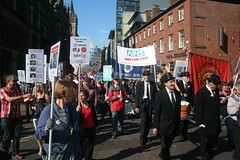 The Composite 8 also urged supporters to campaign now for adequate funding and humane services and staffing in our NHS. Yet the Greater Manchester “Devo Manc” arrangements meant all the 10 Councils in Greater Manchester (9 of them Labour) accepting an “austerity budget” for the NHS, that was £6bn short of the basic needs of the area. This has meant they have had to implement the Tory cuts: reduce the quality of the services, impose the pay cap on NHS staff and allow private firms into planning and providing NHS services. While some private social care providers in Greater Manchester have adopted the Ethical Care Charter, many still rely on zero hour contracts and minimum wages and inadequate training. We would like you to invite a member of Greater Manchester KONP to participate in a discussion. 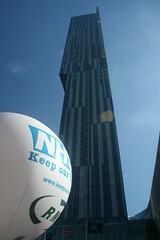 We have researched the current situation in Greater Manchester NHS, as much as we can. We would like to present to you what we have found. We would like to warn you of the hospital closures and the reduction bed numbers that have been planned for the last 3 years and are now being implemented. And how whole sections of our Greater Manchester population will be left to care for themselves, in spurious “wellbeing” schemes. And how many older NHS buildings are being sold off for private real estate. And together we can preserve as much of our NHS as we can and take up the campaign for a comprehensive, publicly NHS and decent, humane social care.